Thanks to a warm and sunny climate, high visibility and abundant marine life, Fiji boasts some of the best diving conditions on the planet. While no dive is ever the same, visitors will find each adventure beneath the waves offers its own equally rewarding moments. Friendly and professional staff put their clients at ease and prove that the 'seen one, seen them all' attitude does not apply to Fiji. 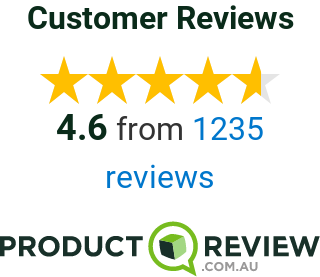 The best time for diving is between the months of April and October though from early June to late August the ocean water cools drastically, and thick 3mm wetsuits are recommended. Just outside Savu Savu off Jean-Michel Cousteau Resort lies a dive spot that will delight experienced divers and first timers alike. The beach angles on to the sandy ocean floor, giving way to a smattering of brommies (coral heads). Only 35 minutes from the Great Sea Reef, on the north side of Vanua Levu, lays the 3rd largest barrier reef on earth. Fish Wall plays host to pelagics and reef sharks, while June to December is the best time to spot an impressive number of manta rays. The island of Taveuni is the world’s top soft coral destination in the world, located on the Somosomo Strait. Here you'll find currents to which the soft coral growth is attributed to. 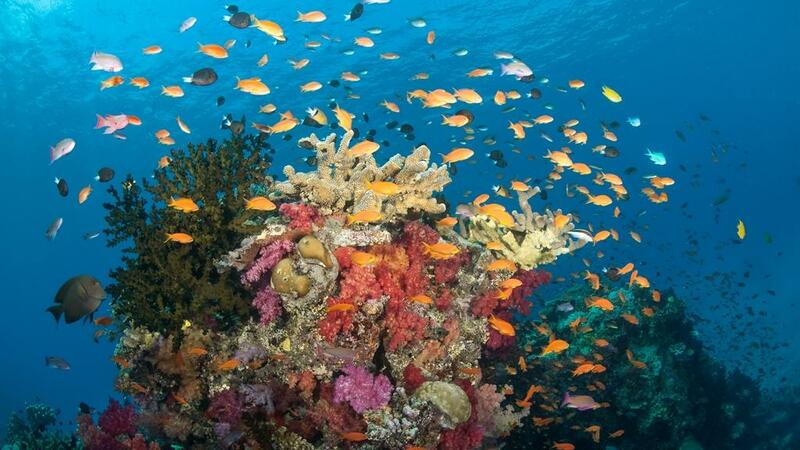 Similarly, Rainbow Reef attracts divers for its pretty and vibrant coral garden. The Mamanuca and Yasawa island groups are an exotic diving hot spot offering something to those of all interests and skill levels. Home to some of the world's most noted dive locations, experienced divers will love the Malolo Barrier Reef's famous Supermarket, renowned for its shark encounters, majestic Gotham City (so named due to the resident batfish) and plethora of marine life (including staghorn and elkhorn coral and the inquisitive moray eels). Close encounters of the big fish kind are to be had at Big W where you can get up close and personal with mantas and sharks. The PADI centre on Castaway Island is the only resort-owned dive centre in Fiji. 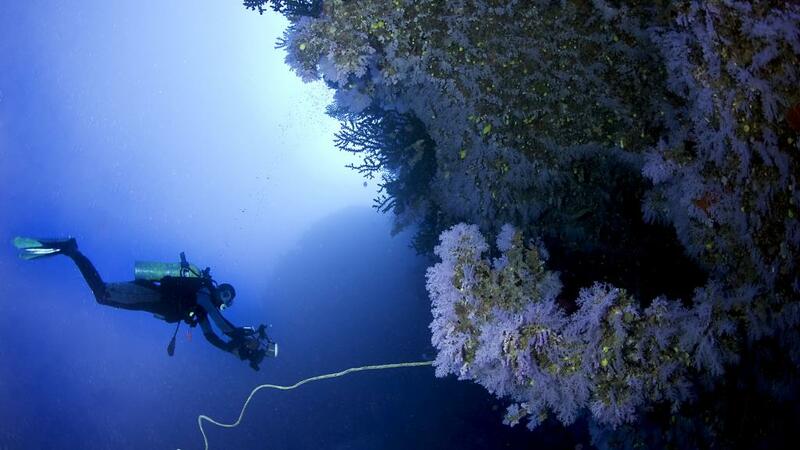 Here visitors can partake in night dives, or the extremely popular ‘family’ dives. Here children have the opportunity to head out on the boat and learn to snorkel or explore the waters in the glass-bottomed 'spyboats' while parents dive below. Those seeking pristine coral gardens will love the sites surrounding Makongai Island. Government protected (a clam farm and turtle hatchery are located in these waters), the fish and coral thrive. The colour of the coral is extraordinary with a remarkable variety of fish living among the protected waters. 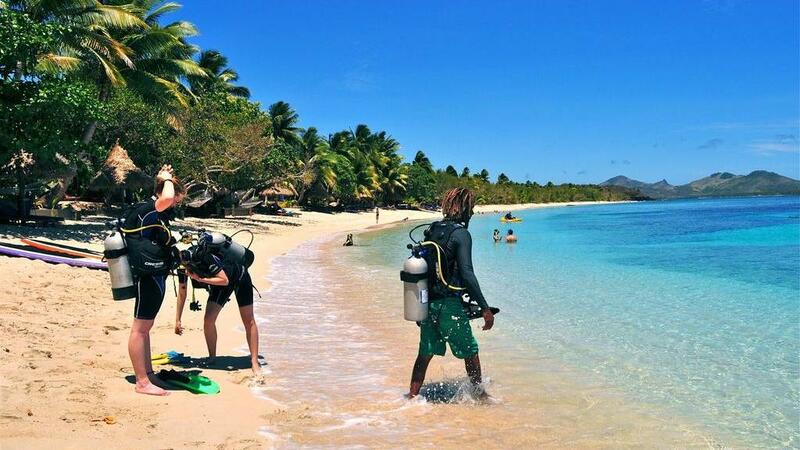 Introductory dive courses and certifications are available at many of the resorts across Fiji.